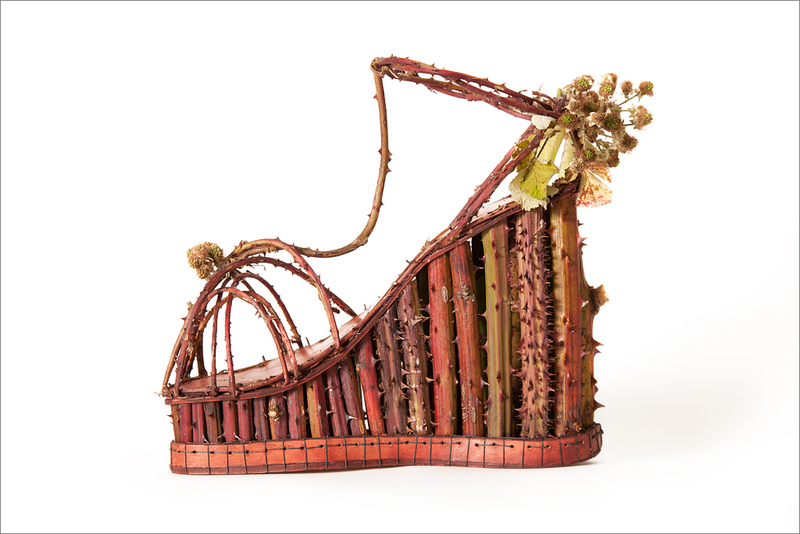 The Blackberry Platform Sandal, in all its thorny splendor exemplifies the adage: to suffer for fashion. 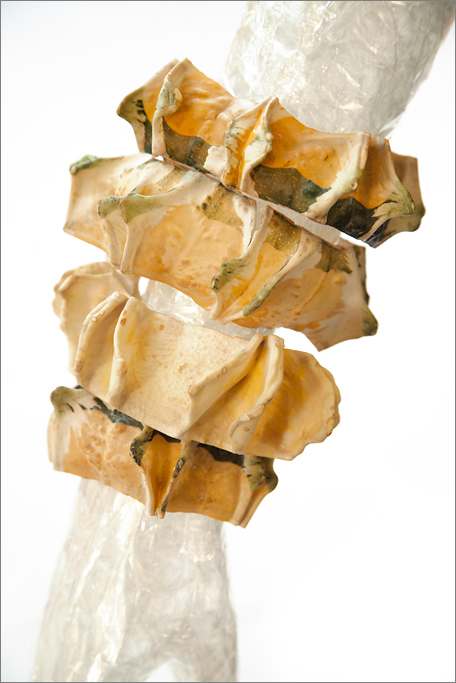 Made from Blackberry vines, leather, Linen thread and thorns. The Magnolia Pubescence Ankle Boot combines the fetish for elongated toes with the absurdity of balancing one’s heel on a delicate root. 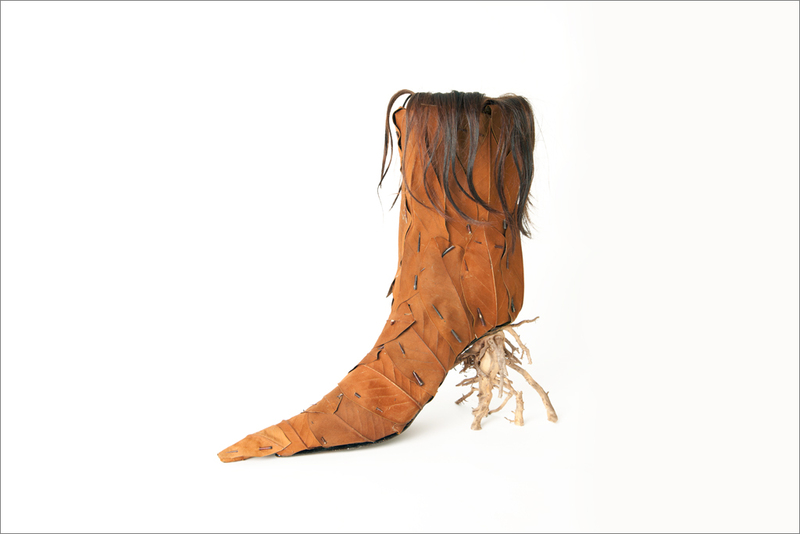 Made from dried Magnolia leaves, root, Cattail, leather, thorns and the artists’ hair. 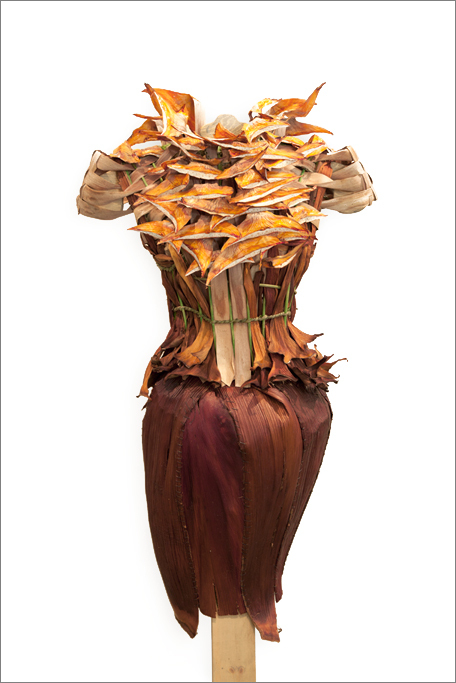 The Dracaena in the Desert dress made from the Dracaena Draco plant and Palm Husks is the perfect carapace for a Southern California fashionista. 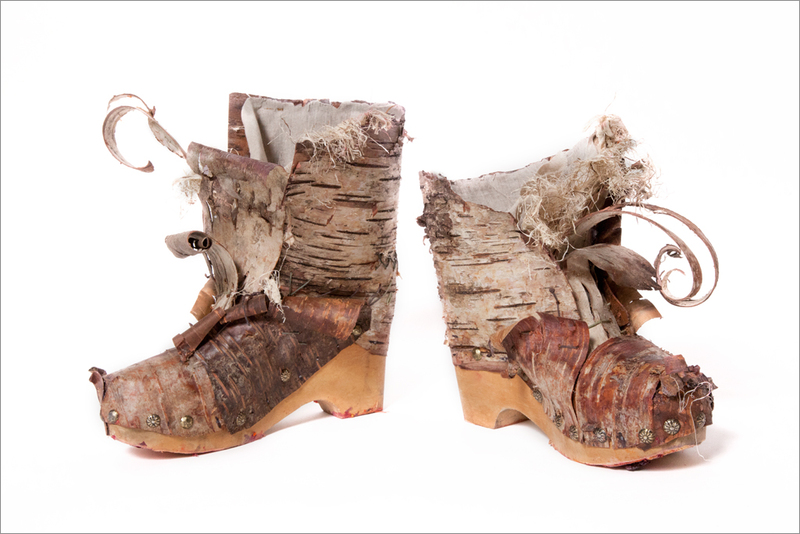 The Tree Bark Boots fashioned from various barks onto a wooden sole are your footwear of choice for impromptu clog dancing. 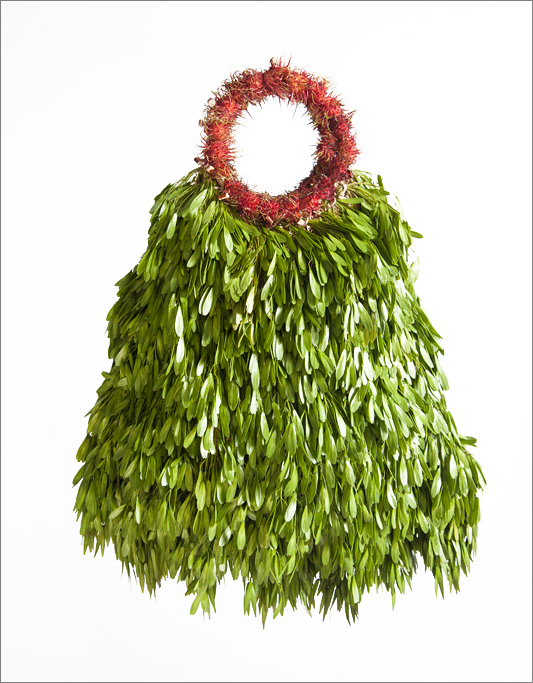 The Ash Key Shopping bag has a handle covered in Rambutan (Lychee) skins with long sharp thorns to discourage over-consuming. Be a fashion forward sensation at the next Thanksgiving feast with your designer Gourd Jewelry. The StoreFront objects of desire logo is featured on signage, tags and advertising to bring you the full mock retail experience. 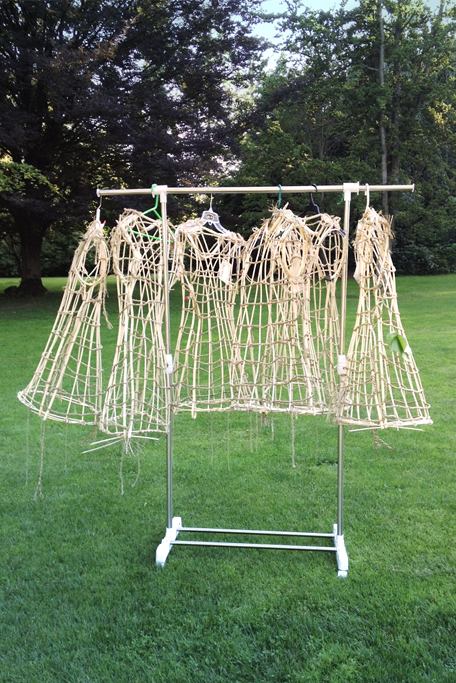 Armatures awaiting ephemeral adornment are displayed on garment racks. StoreFront objects of desire, is a faux retail installation consisting of ephemeral fashion items such as clothing, handbags and shoes set up as a trope for consumer culture. The line between desire and ownership is further blurred with standard marketing strategies such as branding and interior design. This project is inspired by new paradigms such as Buy Nothing Day and the Story of Stuff, which raise awareness about the global repercussions of overconsumption.